If you’ve been looking for a computer buyer in Mesa Arizona, look no further than our computer store, which serves many of the communities around Mesa, all the way up to Phoenix. If you happen to live anywhere near Scottsdale, Tempe, Chandler, Gilbert, or Apache Junction, come on in with your new or used computer, and turn it into cash on the spot. We buy computers of all types, so whatever you have, chances are we’ll be able to sell it to someone else, and that means we’ll buy it from you. How Do You Evaluate Computers? Our in-house expert will evaluate the working condition of your computer, its brand-name and age, and how complete it is in terms of accessories and required operational equipment, and then you will get the biggest possible payment for any computer you sell us. 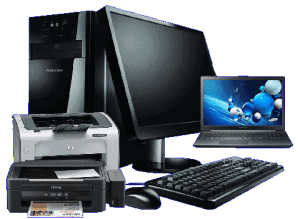 In addition to desktop computers, we also buy laptops, notebooks and game systems of all kinds, as well as functional printers which are compatible with those computers. We have no real preference for the kind of computers you bring us, so pack up your device whether it’s a Dell, HP, Toshiba, Compaq, Acer, or Apple, and get yourself the cash you need to get through a financial tight spot. What Computers Are You Looking For? It seems like bigger and better computer systems come out every two or three years, and they have terrific new features, like more RAM and more hard drive storage, as well as greater compatibility with new applications. If your machine has been somewhat left behind by the newest technology and the faster processing speeds, maybe it’s time for you to upgrade to a more powerful machine, and sell your current old computer to us. Regardless of the kind of computer you have, we guarantee that we will make a fair assessment of its actual value, and provide you with the maximum payout possible. If you’d prefer not to sell your computer system outright, but you still need to generate cash to cover some kind of financial hardship that you’re going through, we can still help you by pawning your computer system and arranging for a three-month loan. In this kind of setup, you’d be able to redeem your computer at the end of three months when your loan is paid off, and in the mean time you will have had the use of the payout money we provided to get you through a difficult period. What Options Do You Offer With Our Computers? We will even be happy to work with you on the terms of the loan you take with us, in case you have difficulty making your monthly payments. We can accept a payment of the interest only, until you are in a position where you can add to that payment amount, and pay down on the principle as well. We try to be as flexible and accommodating as possible for our loyal customers, because we want you to come back to us whenever you have something to sell, or whenever you want to buy something at the best prices in the area.